Can you beat the South African Lottery? CLICK HERE! For example, to play the South Africa Lotto game, you need to pick 6 numbers from 1 to 49, plus a bonus ball. QUESTION: what if you could pick your South Africa Lotto ticket from just 15 numbers instead of 49? You think there might be a better chance of hitting a winning pick? 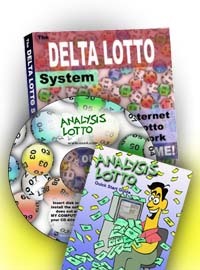 A FREE version of our Delta Lottery Calculator you can try with the South Africa lottery games can be found here. Setup: 6 numbers from 1 to 49 then bonus from 1-49 , numbers DON'T repeat. Click on "Downloads". You will be presented with links to Excel files, one for each game. Download the game of your choice. Now we need to convert Excel to plain text. Open the Excel file in Excel or Open Office. Now, using your mouse, copy the columns that contain the dates and drawn numbers. Careful - don't copy lots of empty cells at the bottom of the spreadsheet. NOTE: On occasion, the download presented here is - erroneously - actually an HTML file. If the file won't open in your spreadsheet program, change the file extension from XLS to HTML, and double click again to open the file in your web browser. As above, copy the first few columns that contain the dates and drawn numbers. Setup: 5 numbers from 1 to 45 then bonus from 1 to 20 , numbers DON'T repeat.